Seriously. 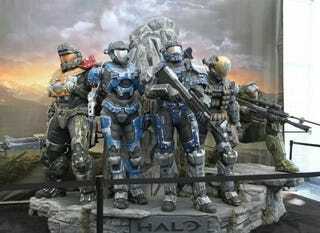 These life sized Halo Reach statues are too realistic to tempt me to climb over the barrier. As snapped by Stephen Totilo at the L.A. Convention Center.